Often, selecting a particular mode of washing in the washing machine-machine, you realize that it is not suitable for this kind of lingerie. It may happen that you forgot something to put into the machine or you need to pull out of the drum adventitious thing. Try to press and hold in this position, the start button of the washing programme, if you need to stop her. The machine shall be switched off automatically. Perhaps it is before that will make the water drain (depending on model). Turn on the washing machine the start button, select program and start the machine again; thus, you will generate a software reset. 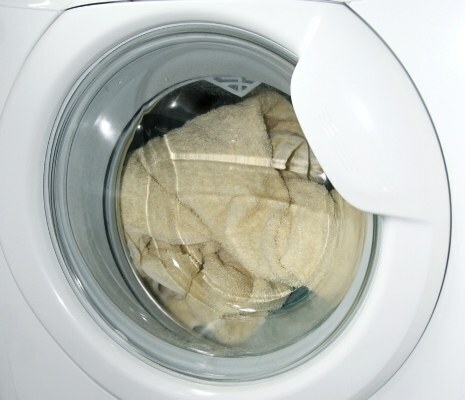 If you need to reboot linen, and the discharge of water did not happen, the machine turned off, but the tank is full and the door won't open (machines with front-loading), you can use two ways out of this situation. Press the power button the washing machine again. Select programme "spin" and check the option "no spin". Machine in a minute drained the water and after a few minutes the door should open. Linen in this case will be very wet, because it was not pressed. If you need to get dry linen, select "spin", then set the number of revolutions. However, in this case you will have to wait about 10 minutes (depends on machine model) before you will be able to open the door. Drain the water through the emergency drain, which is provided on the side or front of the machine below. Usually it is a hidden behind the door of the hose (depending on model). If these measures do not help, the machine "hung" and not responding, try turning it off for a while from the mains. Let's wait 10-15 minutes, then turn it on again. If it also "hangs" on the same program, try to repeat the above manipulation. Contact a specialized service for the repair, if nothing helps. Might have been a serious failure in the electronics of the washing machine.